FlexTrade has deployed FlexNOW to the cloud with AWS, making it the industry’s first cloud-based execution management system. 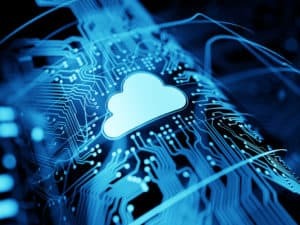 The company said that the move makes FlexNOW the industry’s first cloud-based EMS, with Amazon’s cloud platform helping to reduce latency and onboarding time for clients for better reliability than many private data centres. FlexTrade describes its EMS as an out-of-the-box, broker neutral system which was developed to help buy-side traders who require a streamlined and multi-asset EMS. Launched in April, it is MiFID II compliant and handles equities, futures and options trading with connectivity to market data providers, the ability to integrate with any order management system (OMS), and a built-in transaction cost analysis (TCA) function. In October, FlexTrade teamed up with data sharing startup ipushpull to provides its FlexNOW users with access to its data sharing network and workflow automation desktop applications. FlexTrade’s Lewis said at the time that the company chose to work with ipushpull because they are considered a leader in connecting grids of data across any connected application.